This class introduces you to the fundamentals of pole dancing. It is taught in one hour lessons weekly for eight weeks. 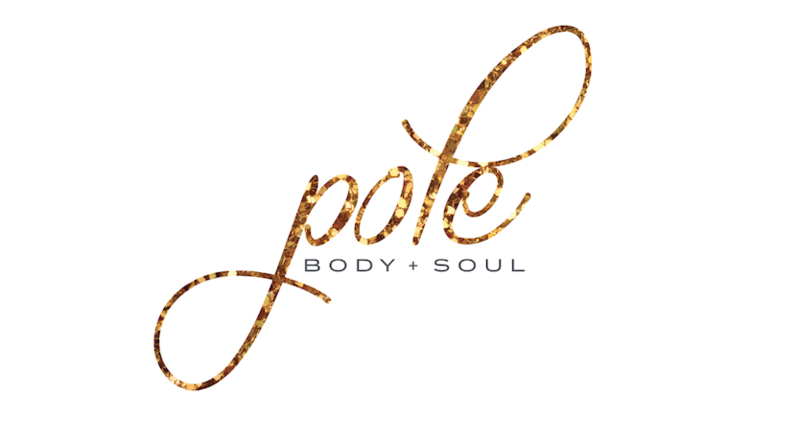 No prior experience is required as all fundamental moves for pole are covered. You will learn a range of moves such as, spins and climbs; explore being upside down on a pole and strengthening, toning and flexibility exercises. Students must complete pole preparation beginners to participate in this level. You will start focusing more on strength building exercises and flexibility. This will assist you in higher levels and build a good foundation of strength. You will be spending sometime upside down, sitting up high on the pole and spin combinations. You must have completed Intermediate 1 Skills or doing them both in the same term. This class will give you a great cardio and strength workout. Over the 8 weeks you will learn a fun routine and learn how to link moves together. Students must complete Intermediate 1 Skills to participate in this level and be confident in perform a crucifix on a spinning pole. In this level you will learn to love a few bruises and being upside down as pole. You will learn some moves to get your friends talking! 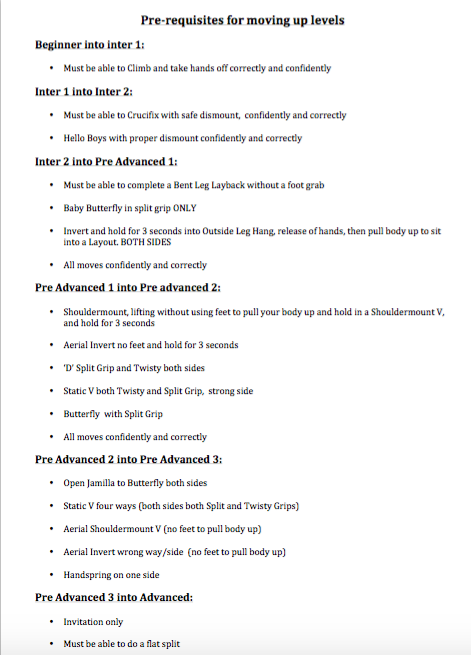 You must have completed Intermediate 2 Skills or doing them both in the same term. This class will give you a great cardio and strength workout. Over the 8 weeks you will learn a fun routine and learn how to link moves together. Lots of boxing and strength to help your general over all fitness. Other benefits are increasing your upper body and core strength for pole. Hard work, but all worth it. You will see great results adding this to your weekly routine! Please bring a towel and water bottle. Wear comfortable clothing. Preferably shorts that expose the leg from the knee down. No footwear is required. Some lesson may be taught with comfortable high heels again this is not a requirement. All jewellery must be removed before class commences. This is for your safety. Pole dancing requires grip between your skin and the pole. Therefore, it is NOT recommended to moisturise your body on the day of your class.